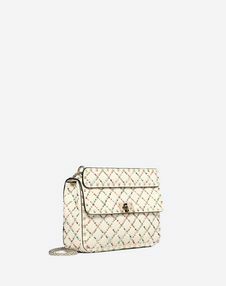 Medium Valentino Garavani Rockstud Spike chain bag in elk-print calfskin leather. 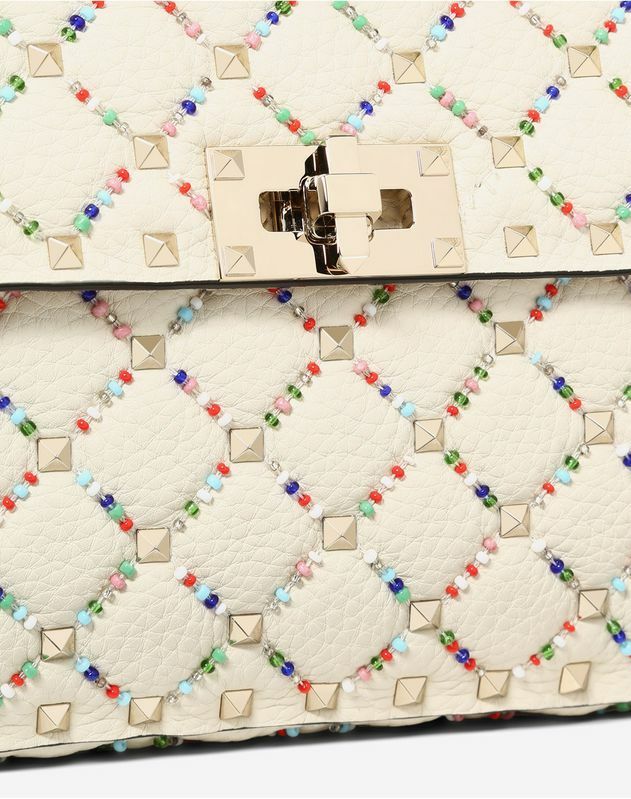 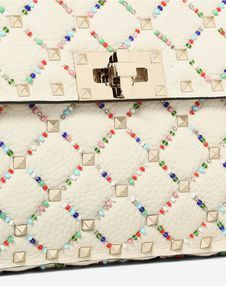 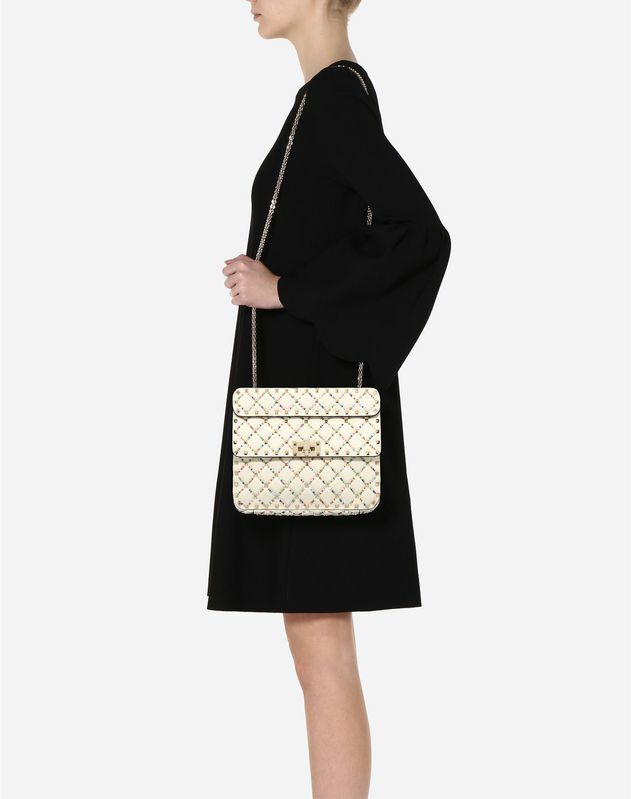 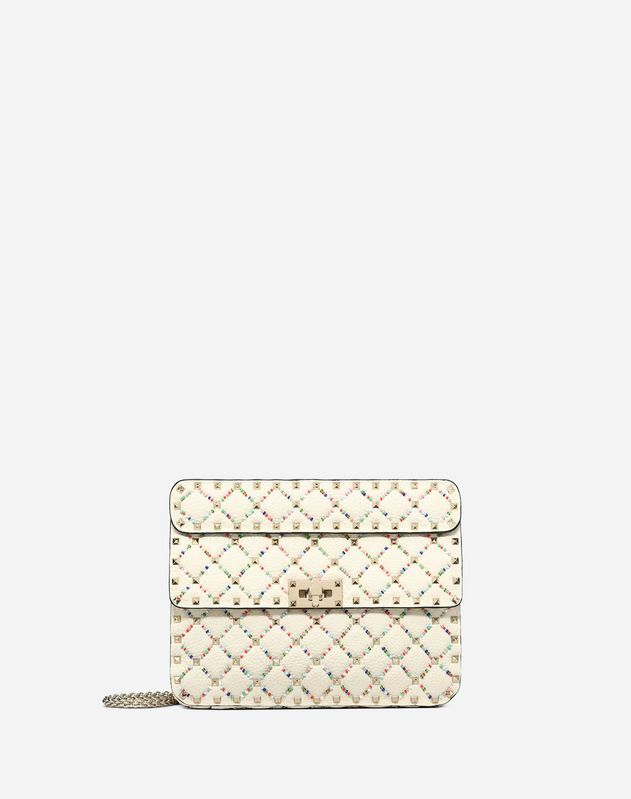 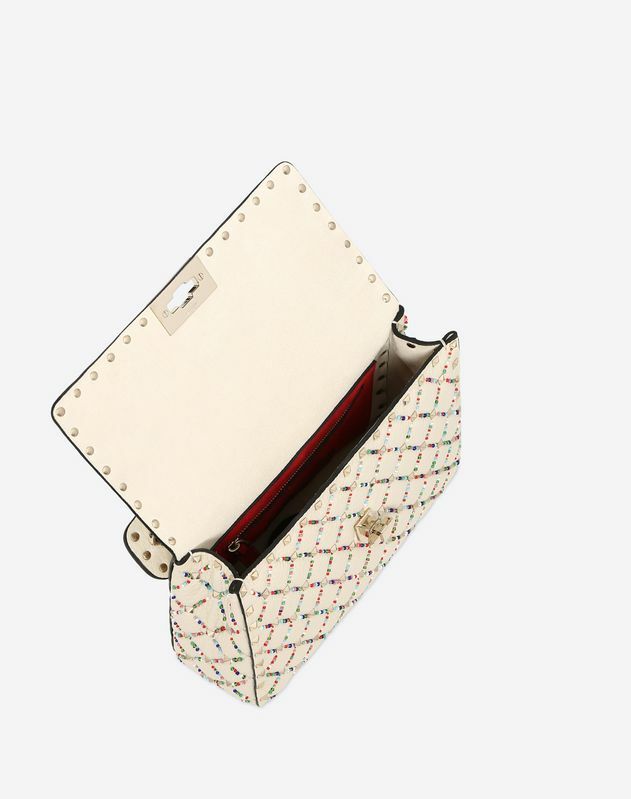 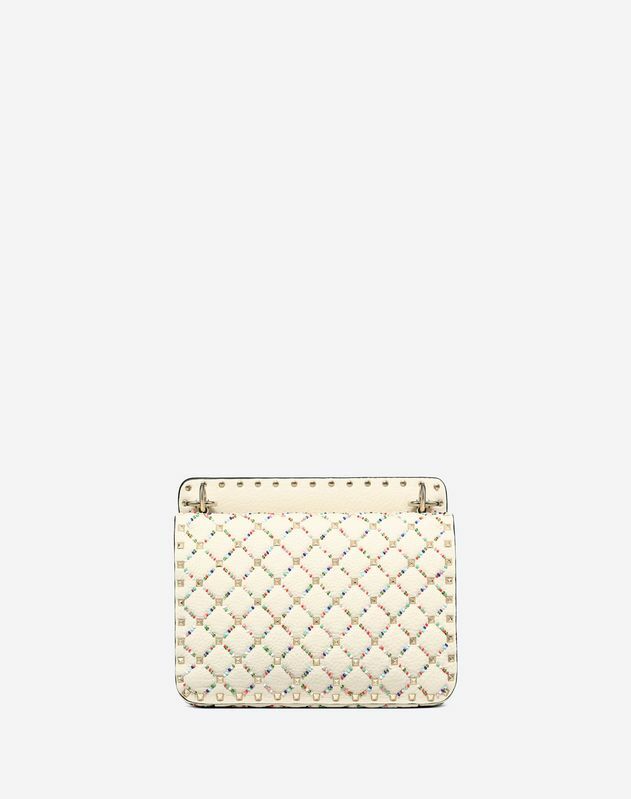 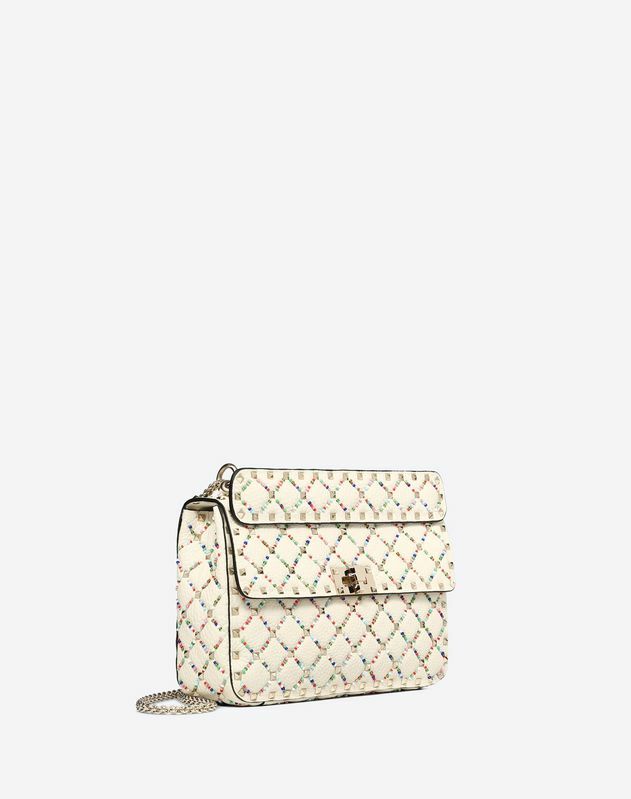 Quilted construction with multicolored bead trim and small stud details.Equipped with a detachable handle and chain strap, this accessory can be worn as a crossbody/shoulder bag or carried by hand. 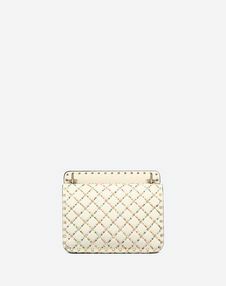 - Dimensions: W9.1 x H6.3 x D2.6"